DnBuster's Place: Whats for dinner? Hamburger helper is here!! For 40 years, Hamburger Helper® has helped to make family dinner time easy, and now with two new delicious varieties, Ultimate Beef Stroganoff and Cheesy Italian Beef, Hamburger Helper offers even more options for easy family style cuisine. With naturally- flavored mixes and rich, tasty sauces, Hamburger Helper makes a meal your family will be happy to gather around. Be among the first to try these two new, quick and easy dinner options with the ones you love. Because after all, who couldn’t use a little help in the kitchen? My family loves Hamburger Helper! The dinner kits are so easy to prepare just add ground beef, milk and water. The 2 new flavors taste great! My kiddos really liked the new Cheesy Italian beef the best of the 2 new flavors. Hamburger Helper makes dinner easy and fast! decadent sour cream flavored sauce mix. 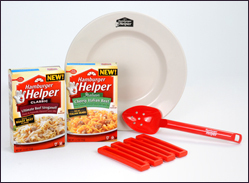 visit Hamburger Helper HERE and download a printable coupon for $.70 off one box of Hamburger helper! Disclosure: The Hamburger Helper New Varieties information, product, and prize pack have been provided free of charge by Betty Crocker® and General Mills®, through MyBlogSpark. Hi! Thanks for having this contest! Cheesy Italian Beef sounds good. 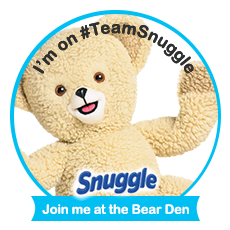 :) My email is in the Rafflecopter. I've had all the other Hamburger Helpers, so I'd love to try the Ultimate Beef Stroganoff and Cheesy Italian Beef. Both sound delicious! I would love to try the Cheesy Italian Beef. I love, love, ove the Potato Stroganoff. But would be willing to try any new ones that come by! cheesy Italian beef sounds yummy! thanks! The Stroganoff one sounds really good! I really want to try the Ultimate Beef Stroganoff. Thanks. Ultimate Beef Stroganoff --sounds good to me. The Cheesy Italian Beef sounds good to me. I want to try the cheesy italian and beef stroganoff. I'd really like to try the Cheesy Italian Beef. Thank you for hosting this giveaway and giving us all a chance to win! The cheesy Italian beef sounds yummy! I would like to try that one. I most want to try the Italian Beef. Cheesy Italian Beef and the Ultimate Beef Stroganoff. Love to try the news things! I really want to try the Ultimate Beef Stroganoff. Thanks for the giveaway! Cheesy Italian Beef and Ultimate Beef Stroganoff! I want to try the Ultimate Beef Stroganoff! I want to try the Cheesy Italian Beef. Oh boy now I'm hungry! Oh the Stroganoff for sure! Yum! Want to try the Ultimate Beef Stroganoff! I would love to try the Italian Beef and any of the Asian inspired ones! Thank you so much for the giveaway! Would love to try the ultimate beef stroganoff. My whole family would love this!! I wuold love to try the Helper Cheesy Italian Beef! Cheesy Italian Beef sounds very enticing. I would try the Cheesy Italian Beef, though my overall favorite is the Cheesy Hashbrowns with sausage instead of ground beef. I want to try the Cheesy Italian Beef flavor. Cheesy Italian Beef or Mexican Crunchy Taco! I want to try Ultimate Beef Stroganoff ヅ *Thanks* for the giveaway! The Cheesy Italian Beef appeals to me the most.